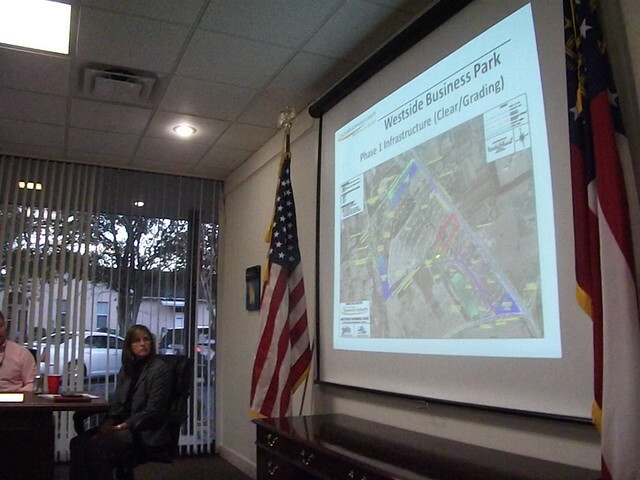 Notice of a Special Called Meeting of the Valdosta-Lowndes County Industrial Authority for the purpose of reviewing bids and awarding a contract for Westside Business Park Phase I Infrastructure Project on Friday, January 27, 2012, 12 Noon at the Authority offices, 2110 N. Patterson St. 229-259-9972. That's not a link in the middle; they underlined the date and time. Soon, maybe they will discover italics! Valdosta, Lowndes County, Georgia, 17 January 2012. Picture by John S. Quarterman for LAKE, the Lowndes Area Knowledge Exchange. I see they held a special called meeting 16 December 2011, but at least they listed it on their web page. Maybe they've got control of their technical glitches. Appended is the schedule for 2012, and the agenda for tonight's meeting.